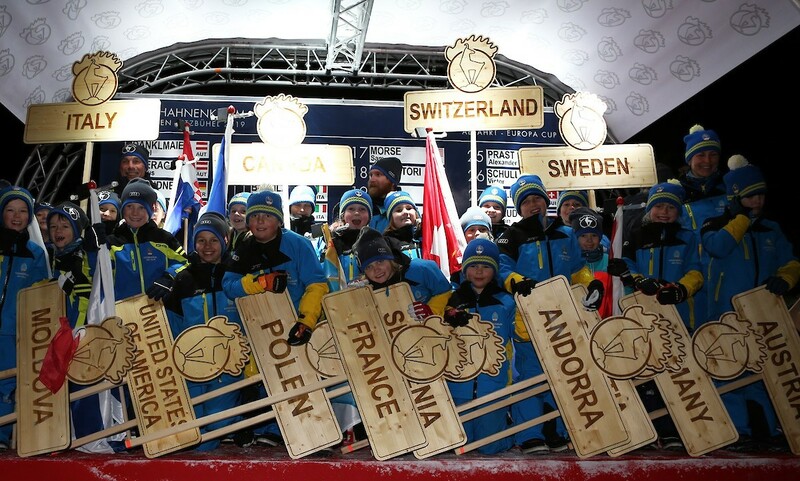 The 79th Hahnenkamm Race Week is oficially opened! 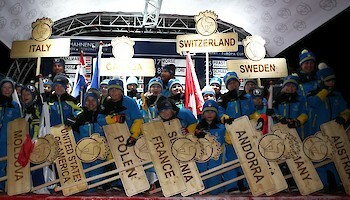 The opening ceremony of the 79th Hahnenkamm Races took place this evening in the Park of Legends. This year’s Race Week kicks off with tomorrow’s Europacup Downhill. After the last Team Captains Meeting today, the KSC invited all participants to join an official reception at the press centre. 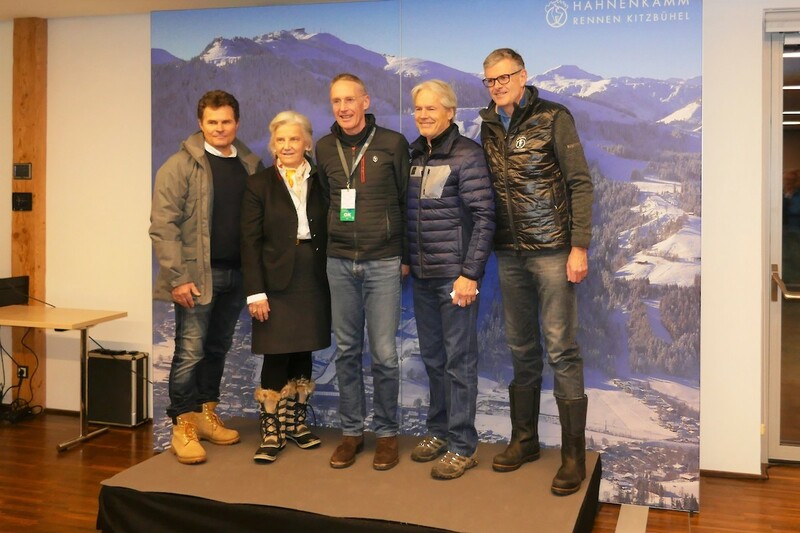 Ken Read, head of the FIS Youth Committee, who won the Hahnenkamm Downhill himself in 1980, praised the exceptional organisation of the Europacup at the reception. Honorary guests Signe Reisch (Chairwoman of the Kitzbühel Tourism Board) and Klaus Winkler (Mayor of Kitzbühel) greeted the guests with warm words of welcome. 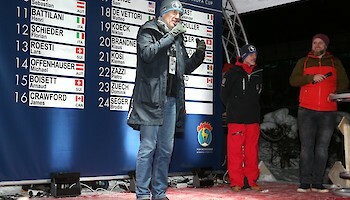 “We have a perfect winter, a perfect course, perfect organisation and great racers. What more could we ask for?“, Reisch enthused. 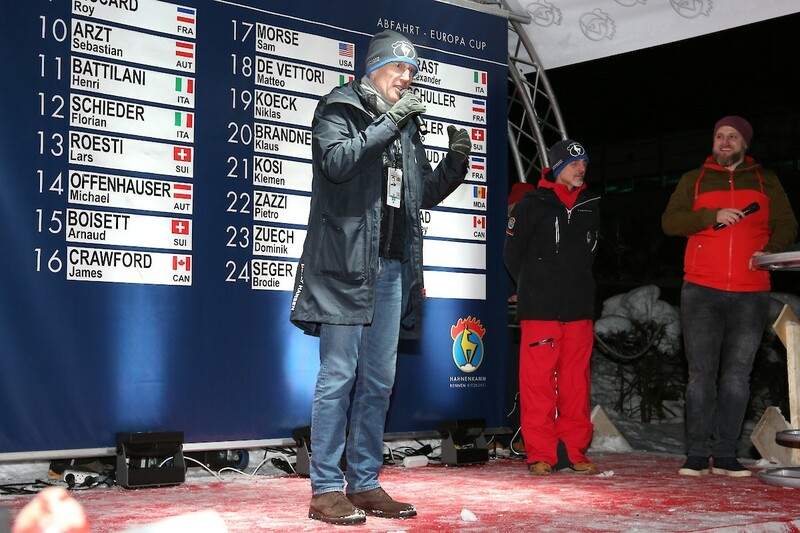 ”The Europacup is highly regarded and this is a great honour for the city of Kitzbühel. We wish you all exciting races“, says Mayor Winkler. Following the Parade of Nations, the top 15 athletes were able to choose their start numbers for tomorrow’s Europacup Downhill. The Europacup Abfahrt will start on monday at 10:30 hrs.